Powered by Foxit Quick PDF Library, PDF Annotator brings powerful PDF editing and annotation tools to PCs and tablets while maintaining price points attractive to SMBs. What if annotating PDFs could be as easy as – or easier than – annotating a paper document? GRAHL software design’s flagship product, PDF Annotator, aims to do this and more. Not only providing expected tools such as highlighting, signing and adding text boxes, PDF Annotator allows users to create handwritten comments, add and edit images from within the application, and lock annotations from being further edited – among many more. Such advanced functionality in a PDF editor means fewer documents need to be printed in order to create certain functions, cutting down drastically on paper costs and waste. This also means cutting down time passing documents back and forth during collaboration. With PDF Annotator, GRAHL software design makes sure to use customer feedback to pack it with all the functions most useful to the business user. By using Quick PDF Library they were able to quickly ship their product to the market and update it consistently due to the fact that Foxit stay on top of client features and functionality needs. Foxit’s ‘keep it simple’ conception allowed quick integration with GRAHL’s systems. The fact that there was readily available source code meant that developers were able to dive into the project straight away, and start getting acquainted with the whole spectrum of PDF manipulation. After providing support and maintenance to GRAHL for many years, Foxit show that they are leaders in the PDF solutions for clients. As a royalty free product, with pre-existing source code, Quick PDF Library was the right product, at the right time for GRAHL. The result of the partnership between PDF Annotator and Quick PDF Library was a unique approach to handwritten PDF comments. 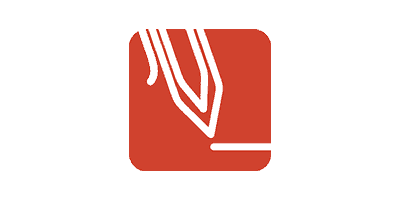 PDF Annotator provide intuitive application, known for its simplicity and versatility. Get in touch with us below to find out more about GRAHL Software Design’s success.